ISC takes pride in giving back to the communities where our employees live, work and play. We passionately support programs, causes and initiatives that make a difference to the people and places we serve. As the safe keeper of important historical documents, we support organizations that promote or preserve cultural heritage and instil pride in the people of the markets we serve. As a leader in the business community, we are committed to supporting events and activities that foster environments where business excellence, growth and innovation can happen without barriers. As a corporation responsible for authenticating and recording important information related to specific life events, we support organizations that provide services related to various life events and milestones. Organizations requesting sponsorship or program funding are asked to submit an online application including any additional background information about your event or organization. To apply to the ISC Community Giving Program, please click here. To request a promotional item, please click here. Requests must be received at least 20 working days before an event's date. Please email questions to communityinvestment@isc.ca. Our people have a dedicated spirit of charitable giving and community involvement. We are proud to support our people and their efforts to better the communities where they live. ISC is proud to partner with our people in supporting causes that matter to them. Each year, we match up to $1000 per employee toward their personal contributions to a community-based charity within one of our focus areas of giving. 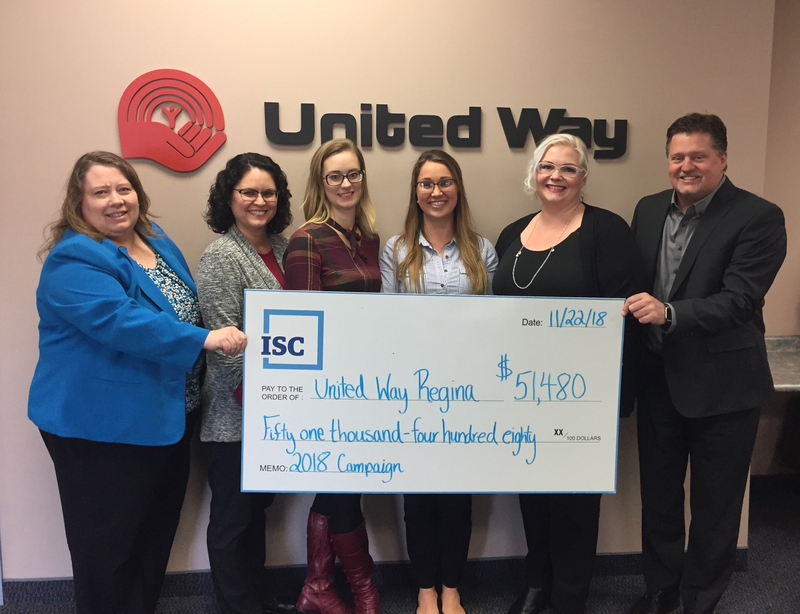 ISC and our employees have a longstanding tradition of supporting the United Way. Employee volunteers annually lead and organize United Way fundraising events, with the company proudly matching every dollar raised each year. Our people know that building stronger communities relies on more than financial support. ISC employees donate their time and efforts to supporting our partner organization Albert Community School through volunteerism and mentorship opportunities. The ISC Century Family Farm Awards program honours Saskatchewan families who have followed in the footsteps of their ancestors and farmed the same land continuously for 100 years or more. Since 2007, ISC has proudly recognized the family legacies that have shaped the province. Each year, families from across Saskatchewan join ISC at events held in Regina and Saskatoon in celebration of their farm’s 100-year milestone achievement. To apply to the ISC Century Family Farm Award Program, or for further details on the application process and deadline, PLEASE CLICK HERE. Questions? Email us at cffa@isc.ca or call 1-866-275-4721. List of the 2018 Century Family Farm Award recipients.